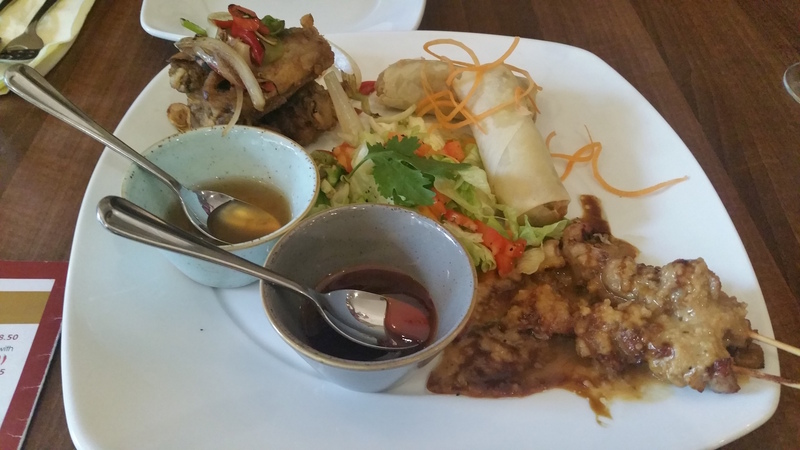 I am a big fan of pan Asian, in particular Malaysia, so much so that I have been 3 times so when I was invited to eat at Nusadua I was happy to accept. 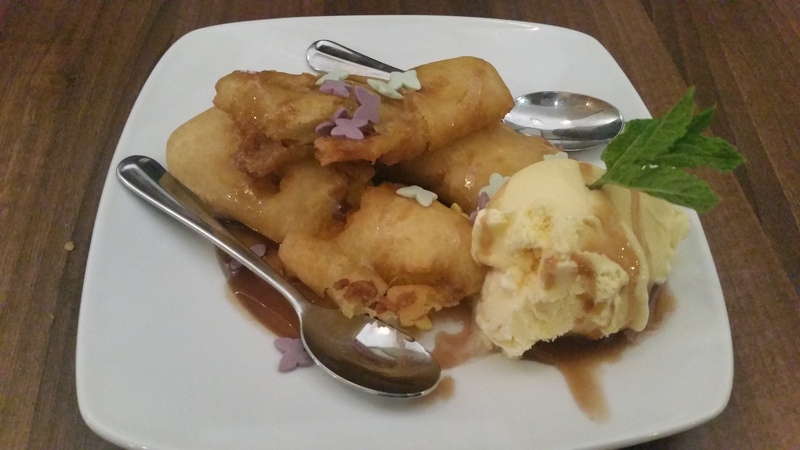 Nusadua is a Indonesian restaurant in the tourist hot spot on Shaftesbury avenue very close to China town. 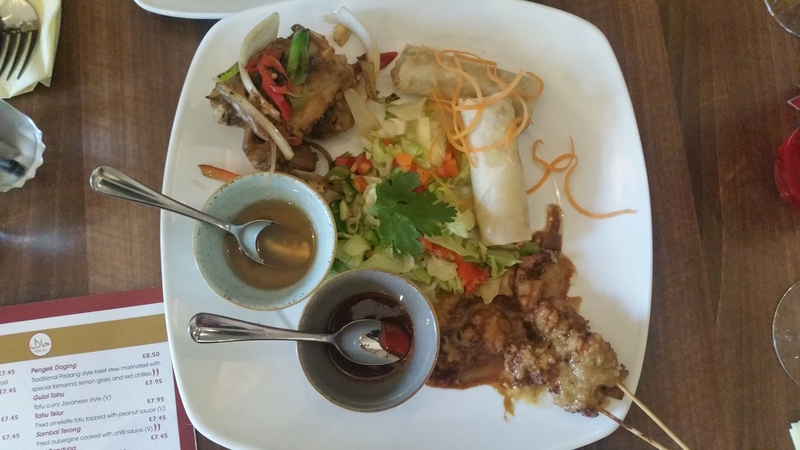 The restaurant itself is spacious and also boasts a downstairs area able to cater for around 15 people with a private karaoke station, good for birthdays or other celebrations. 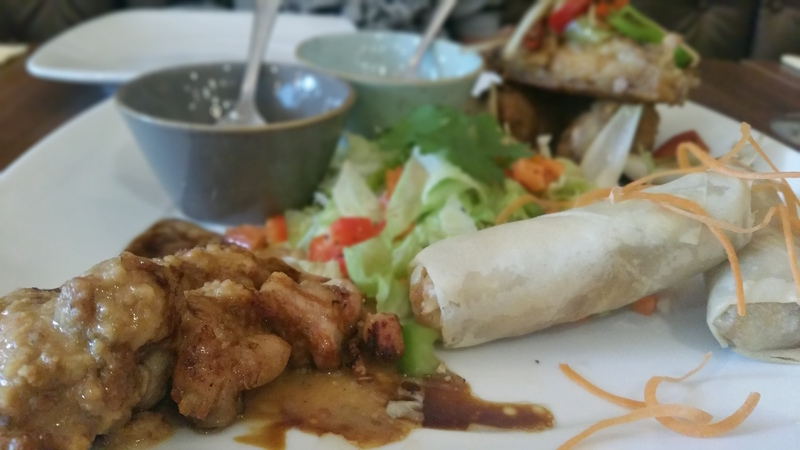 For starters we were recommended to try the mixed platter, which consists of 2 chicken satay sticks, 2 spring rolls and 4 chicken wings. Hands down this was the best chicken Satay I’ve ever had. Why? 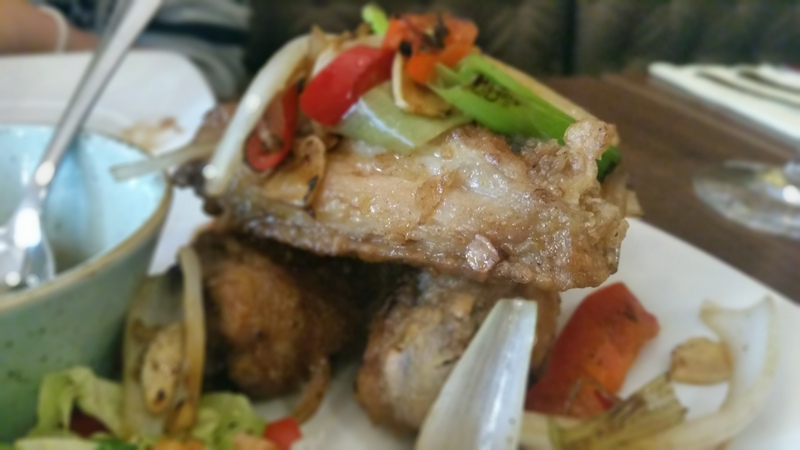 They used tender cuts of chicken thigh which is something that I havnt come across, which meant there was more flavour and the texture of the chicken was very soft and almost melt in mouth tender. The peanut sauce that accompanied the satay was fantastic as well. The spring rolls, at first I thought it was shredded chicken, but it was in fact bamboo with prawns and not too oily. Really nice and you could tell they were fresh made an not processed. 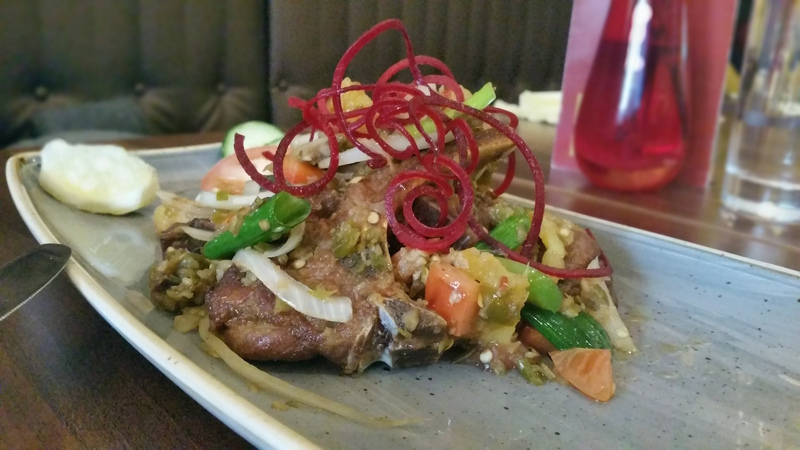 For the main course, I wanted the beef randang, but was convinced to get the popular Kambing Cape Ijo (£8.50) – Lamb chops fried with green chillies and pineapple (with 3 chillies next to it on the menu) These were different to the typical lamb chops I eat at turkish or indian restaurants. They were infused with Indonesian flavours and spice, they were a little on the dry side but where soft and tender, just lacked a little juiciness. 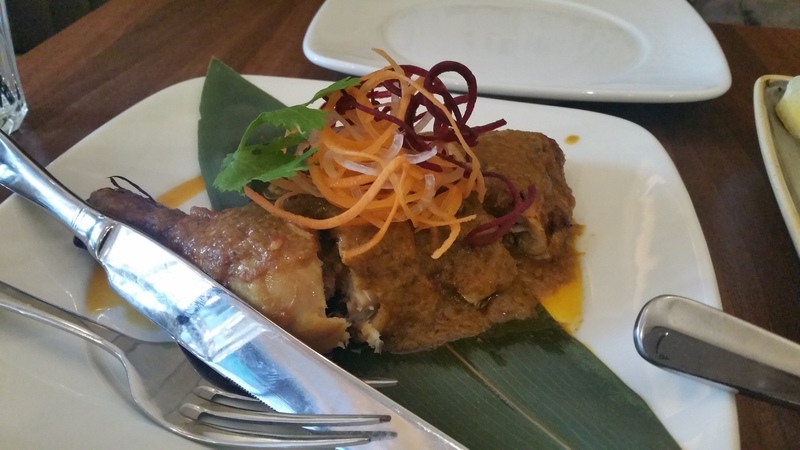 Also ordered the Ayam Masak Sumpu (£7.45) a leg and thigh piece of chicken marinated with coconut milk, oriental herbs and hints of chilli. This came pre-cut which made sharing easy. I think the portion sizes were a bit too small, i still felt that i had a lot more room for another meal, but as I was being treated to this meal I didn’t want to order extra. All food is fresh and created on the premises. They can also cater to tastes and preferences, so if you want something spicy and hot, they are happy to do so. 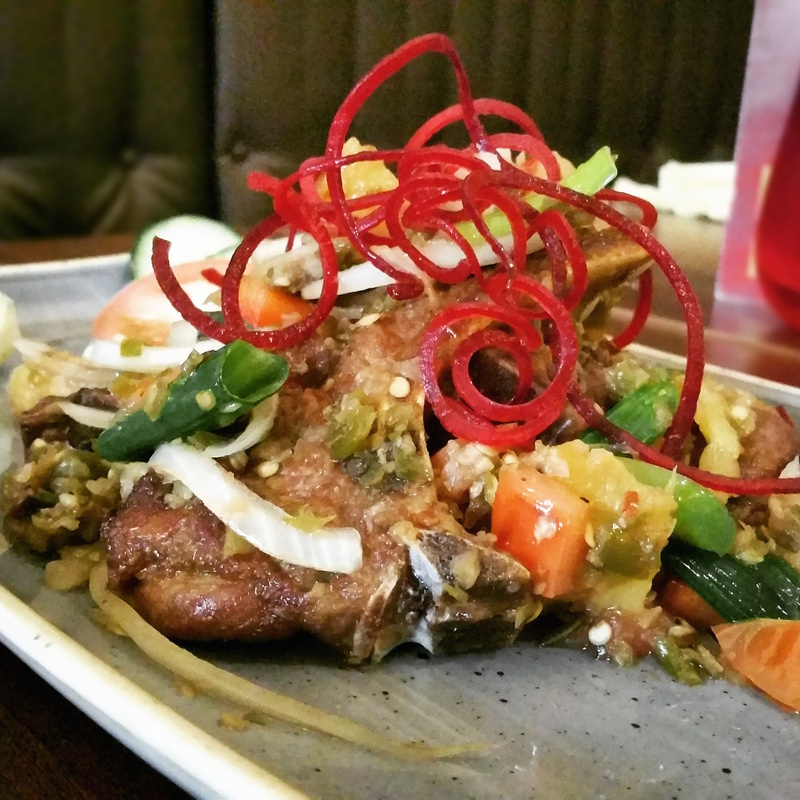 All in all, if you find yourself with friends in the west end then Nusadua is a great choice for some Indonesian food with great flavours and a nice space to relax with friends without getting rushed. Hey Buddy!, I found this information for you: "Nusadua". 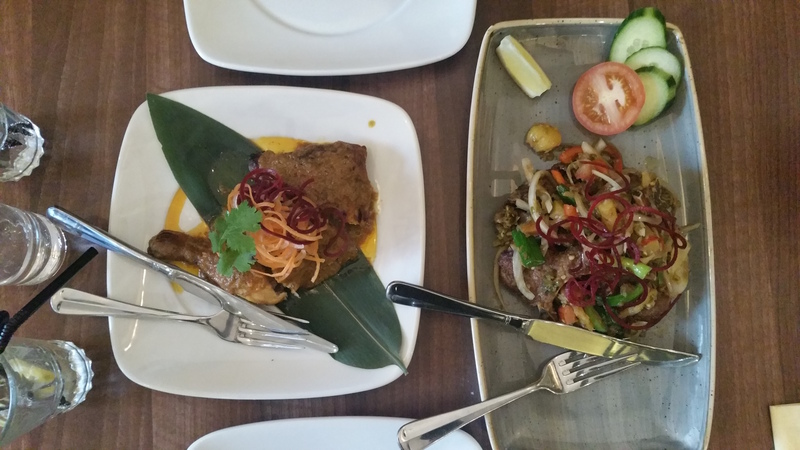 Here is the website link: http://halalfoodguy.co.uk/nusadua/. Thank you.